In Australia, in the early 1980's, our F111 bombers were discovered to have problems in their fuel tanks. The self-sealing chemical ooze that protected the fuel from being lost to battle hits was found to need replacing. In order to replace it, it had to be removed and in order to remove it RAAF crews were forced to enter the tanks and were soaked in incredibly toxic chemicals for many hours at a time. They began to die of terrible wasting diseases, cancers and their minds collapsed. This story is a compilation of media pages and emails about my brother former air frame fitter Rob Solomons and the battle to get compensation from the Australian Government . 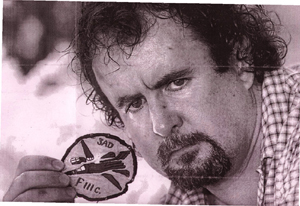 The deseal/reseal story is a compilation of media stories about former air frame fitter Rob Solomons and the battle to get compensation from the Australian Government . HW and PJ Solomons are ADF success stories. There are links to unit history and other similar sites from the webpage. 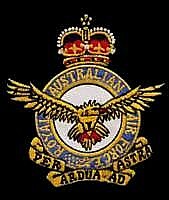 There is also a detailed history of the battle to save an RAAF Caribou downed in Vietnam....... Flt. Lt. Solomons.... "Downed Caribou"